Greetings again from the darkness. I’ve said this before, but mixing romance with historical war time dramas is fraught with peril – it’s a difficult line to navigate for a movie. Writer/director Terry George (Hotel Rwanda) and co-writer Robin Swicord (The Curious Case of Benjamin Button) have delivered a sweeping historical epic that is immensely watchable by not over-blowing the romantic triangle, the war atrocities or the courage and bravery of the main characters. 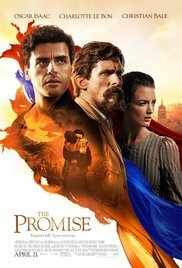 The one-too-many lovers are played by the talented Oscar Isaac as medical student wannabe Mikael; Christian Bale as Chris, an American war correspondent; and blossoming international star Charlotte Le Bon as Ana, an American tutor based in Constantinople. These are three varied and distinct characters we accept because they have admirable qualities, as well as human flaws. Mikael marries a local girl (Angela Sarafyan who was the robot with hypnotizing eyes HBO’s “Westworld”) for the sole purpose of using the dowry to pay for medical school. His “promise” is that he will return and learn to love her (so romantic!). Chris is a hard-driving and hard drinking journalist who is not welcome most anyplace he goes and finds himself in quite a predicament with his job, girlfriend and life. It’s not until later in the story that he flashes a caring heart underneath his armor of brash. Ana is nearly angelic at times in her goodness and with a smile that lights up the screen. Her devotion to Chris is as odd as her attraction to Mikael, but seeking logic in matters of love is often a journey without merit. The story is based around the time of WWI and specifically highlights the Armenian Genocide – something the Turkish government denies to this day, referring to it instead as a “relocation” of nearly 1.5 million Armenians. The film began as a passion project for Armenian-American Kirk Kerkorian, a businessman, philanthropist and the once owner of MGM Studios. He raised the money and helped assemble the team, but unfortunately passed away just before production began. He would undoubtedly be proud of the finished film, and find some solace (if not humor) in the fact that it hits theatres only a few weeks after The Ottoman Lieutenant, a Turkish government backed project that purposefully ignored the atrocities and leaned heavily to a singular view of history. The cast is deep and includes (one of my favorites) Shohreh Aghdashloo as Mikael’s wise and courageous mother, Tom Hollander (“The Night Manager”) as a fellow prisoner of the Turks, James Cromwell as an American Ambassador, Rade Serbedzija as a leader of the Armenian resistance, and Jean Reno as a commander of the French Naval fleet that plays a vital role in 1915. Cinematographer Javier Aguirresorobe captures some breathtaking vistas and desert landscapes, while also delivering the intimacy and urgency of both the romantic and dangerous moments (including a spectacular rain-drenched train sequence). The acting is superb throughout, with Bale dialing back his sometimes over-exuberant traits, Isaac giving us someone to pin our hopes on, and Ms. Le Bon bringing the compassion to an area when it’s so desperately needed. Expect to see her explode in popularity and respect when the right leading role comes along. 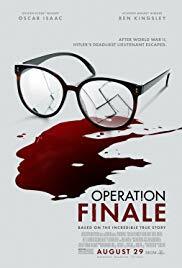 Lastly, it’s rare that I would think this, but the film’s 2 hour and 14 minute run time might have benefited from an additional 10-15 minutes of detail towards the Turkish military strategies, and both the Armenian resistance and slaughter. It’s a part of history that should be neither ignored nor glossed over. Greetings again from the darkness. The isolation of the desert seems the perfect place for an artist to achieve the existential awakening necessary during a time of personal doubt and crisis. The journey to find one’s true self becomes much more complicated when the one-man desert getaway is interrupted by heavy boozing, self-destructive tendencies, and a serial-killer sociopath. Such is the case with writer/director William Monahan’s (Oscar winner for his screenplay of The Departed) latest film. Garrett Hedlund plays Thomas, a very successful filmmaker, who seems to take no joy from his life of luxury … a mansion in the hills, cool cars, a wife and daughter, and endless adulation. Sporting the ultra-cool celebrity look of sunglasses and long hair, Thomas heads off into the desert to either clear his mind or end his life. We aren’t really sure which, and neither is he. Lots of Vodka and reckless Jeep driving leave Thomas in a showdown of wits and machismo across a campfire from a sinister yet articulate drifter. The drifter is Jack, played by Oscar Isaac, and it’s no surprise when we learn he is a serial killer … the sociopath part we figured out quickly, right along with Thomas. 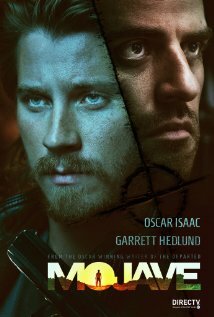 Their under-the-stars confrontation leads to a tragic accident the next day, and pits these two in a B-movie game of cat and mouse with a tone that reminds a bit of Cape Fear (1991) and U-Turn (1997). Heading back to L.A., Thomas comes up with an incredibly stupid plan to cover his tracks. Being famous “since I was 19 years old” and having financial success with movies hasn’t trained Thomas on facing off against a clever nemesis. Even his discussion with his manager (played by an unusually low-key Walton Goggins) comes across as literary-speak rather than real advice. “Worry about what seems to be” is the advice Thomas rolls with. Monahan fills the screen with tough-guy dialogue for these two characters that are both simultaneously stupid and smart. Jack and Thomas go at each like a couple of intellects, but it’s the class warfare that stands out. The 99% versus the 1%. The message seems to be that it comes down to circumstance on whether one is an artist or a psychotic felon … and the line separating the two is pretty slim. It’s also not a very well disguised ripping of the film industry … especially of producers. Mark Wahlberg chews some scenery as a d-bag movie producer who talks loud and fast while accomplishing little. It’s a pretty funny turn for Wahlberg, though unfortunately his character spends limited time on screen. Louise Bourgoin has a couple of scenes, and quickly proves more would have been welcome. The film may not be much to look at, and doesn’t really make much sense, but some of the dialogue duels and “brother” banter, manage to keep us interested throughout. “Take a left. Take a right.” It doesn’t much matter with these two well-read adversaries from opposite sides of the tracks. Greetings again from the darkness. In what can justifiably be termed a cultural event, director J.J. Abrams brings us Episode VII in a film franchise (developed by George Lucas, now owned by Disney) that date backs almost 40 years. While I was one of the lucky ones who waited patiently in line to see the first Star Wars on opening day in 1977, I can only be described as a series fan rather than a Star Wars geek. My bond is with Han Solo and Chewbacca, so I’m not here to debate the minutiae of costumes, timelines and weaponry. What I can happily report is that Mr. Abrams (he’s also directed Star Trek and Mission Impossible films) has found just the right blend of nostalgia, science-fiction, and geeky gadgetry to appeal to the widest of all audiences. The film is an honorable tribute to the previous six in the series, yet it’s more than entertaining enough to stand alone for new comers. As we expect and hope for, the screen is filled with fantastical visuals that somehow push our imagination, while at the same time, feel realistic to the story and action. The aerial dogfights are adrenaline-pumping and spectacular in their vividness, and the more grounded action scenes feature Stormtroopers who have clearly had lots of target practice since the previous films. You need only watch the trailer or read the credits to know that some of the old familiar faces are back: Harrison Ford as Han Solo, Mark Hamill as Luke Skywalker, Carrie Fisher as Princess Leia, Peter Mayhew as Chewbacca, and of course, our old pals C-3P0 and R2D2. Also back is the remarkable composer John Williams – likely to receive his fiftieth (yes, 50!) Oscar nomination for his work here. In addition to the familiar, new faces abound: John Boyega as Finn, Daisy Ridley as Rey, Adam Driver as Kyle (don’t call me Ben) Ren, Oscar Isaac as Poe, Gwendoline Christie as Captain Phasma, and Domhnall Gleeson as Captain Hux. There is also the magic of Andy Serkis as Supreme Leader Snoke, and an all-too-brief sequence featuring Max von Sydow. Oscar winner Lupita Nyong’o voices Maz Kanata, and there is an impressive list of other cameos available online if you are interested (Daniel Craig being the most eye-raising). Abrams along with action cinematographer extraordinaire Daniel Mindel take full advantage of all available technical aspects in creating stunning visuals and spine-tingling sound. It’s a film made to be watched on the biggest screen with the best sound system, so ask around if you aren’t sure. If you are a long-time fan of Han and Chewy, you’ll enjoy catching up with old friends. 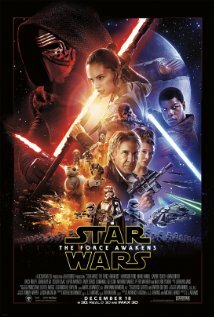 If you are unfamiliar with the Star Wars galaxy, this latest will hook you into the force. Greetings again from the darkness. If you are a follower of the filmmaking Coen Brothers (and you should be), then you are quite aware of their complete lack of artistic interest in any traditionally successful character. Their work is inspired by life’s obstacles and tough luck, even if brought on by a character’s own poor judgment. Coen Bros stories revolve around those who carry on and have (blind?) faith that their approach, no matter how ill conceived, is the only option … the only path worth taking. 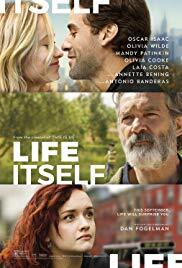 Their main character this time out apparently thinks life is filled with only careerists (sell-outs) or losers (those who can’t catch a break). The titular Llewyn Davis (played by Oscar Isaac) is introduced to us onstage at the Gaslight singing a beautiful folk song. Moments later he is lying in the back alley after taking a whipping from a mysterious stranger. It’s not until this scene is repeated again for the film’s finale do we understand the cause of this effect. 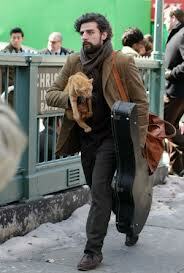 See, Llewyn is not a very likable guy. We learn he is still grieving from the suicide of his musical partner (as sung by Marcus Mumford), and that he bounces from sofa to sofa amongst acquaintances and family members. Llewyn has no friends, only acquaintances too kind to throw him out … even if he might be the father of an unwanted baby, or if he accidentally allows a beloved pet cat to escape, or he uses excess profanity in front of kids. The story is based in the folk music scene of 1961 Greenwich Village in the pre-Bob Dylan days. The Coen’s were inspired by the memoirs of Dave Van Ronk entitled “The Mayor of MacDougal Street“. So while the songs are real and the characters are often inspired or based upon real artists of the time, Llewyn’s story is pure Coen fiction. From a viewer’s perspective, that means cringing, levels of discomfort, uneasy chuckling and moments of rapture … such as John Goodman evoking a drugged out Doc Promus spewing harsh poetic diatribes. We never really know if the Coens are making a statement or tossing it out for us to debate. Are they saying that even the ugliness of Llewyn’s personality can produce something as beautiful as music, or are they saying that we allow ourselves to get tricked by beautiful music into thinking that the artist must also be pure? Carey Mulligan (as Jean) has one of the film’s best and most insightful lines when she tells Llewyn he is “King Midas’ idiot brother“. Her pure disgust (and expert rendering of the F-word) and anger contrasts with her angelic onstage persona with husband Jim (Justin Timberlake). As always, the Coens provide us a constant flow of interesting and oddball characters. In addition to Goodman’s jazz hipster, we get Garrett Hedlund as an ultra cool (til he’s not) valet, Adam Driver as a cowboy folk singer, Troy Nelson as a virtuous Army folk singer (based on Tom Paxton), and Llewyn’s Upper East side cat owners, his spunky sister, and best of all F Murray Abraham as Bud Grossman, the owner of Chicago’s Gate of Horn club. Based on the real Albert Grossman who discovered Peter, Paul and Mary, and managed Bob Dylan (whose spirit lingers all through this movie), Grossman is the lone witness to Llewyn’s audition. This may be the most touching musical moment of the movie (“The Death of Queen Jane”), but it’s clearly the wrong song for the moment. 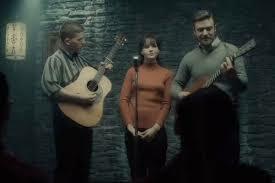 Oscar Isaac is exceptional as Llewyn Davis. He captures that crisis of self that’s necessary for an artist whose talent and passion is just out of step with societal changes. We feel his pain, but fail to understand the lack of caring he often displays towards others. We get how his need for money overrides his artistic integrity as he participates in the absurd novelty song “Please Mr Kennedy”. 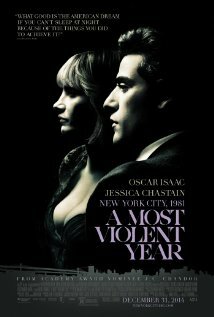 Why Isaac’s performance is not garnering more Oscar chat is beyond my understanding. It’s possibly due to the fact that the movie and his character are not readily accessible to the average movie goer. Effort, thought and consideration is required. If you are expecting a feel good nostalgic trip down the folk singer era of Greenwich Village, you will be shocked and disappointed. Instead, brace yourself for the trials of a talented musician who wrongly believes the music should be enough. Speaking of music, the immensely talented T Bone Burnett is the man behind the music and it’s fascinating to note how he allows the songs to guide us through the story and keep us ever hopeful of better days. This is the Coen Brothers at their most refined and expert. **NOTE: It’s kind of interesting to think that both this movie and Saving Mr Banks are both based in 1961 and the two films are being released at the same time in 2013. Though totally unrelated, they do provide a stark contrast in NYC vs LA.